Our original plan was to rent a fully furnished house when we made our move to Puerto Rico. 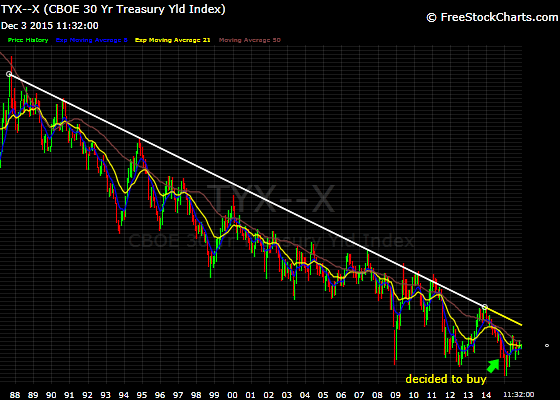 However in late 2014, I noticed that interest rates were approaching all time lows. This, coupled with the fact that it was and continues to be a buyers market in Puerto Rico, convinced me that the right thing for us to do was to buy, if possible. The biggest challenge with this change of plans was that we would have very little time on the ground to look at properties in Puerto Rico. I was still working at my corporate job, so my vacation time was precious and limited. Realistically, I could only allocate a week off for our scouting trip. I briefly mentioned this trip before, but decided that it deserved it’s own post. We flew into San Juan on Monday afternoon, March 2nd and we were flying out on Saturday, March 7th. That meant that not counting travel days, we only had four full days to find our new home! Based on our extensive research online, we had scheduled three showings for the first day, with three separate agents. The first property we looked at was a listing by Jennifer Lopez (!) in a condo complex in Barrio Puntas. Puntas is a hilly area that comprises the land around the western most point on the main island of Puerto Rico. This area is popular with North Americans because of the beautiful views and proximity to town and surfing beaches. For us, a couple of the downsides to Puntas are that the roads are winding and narrow which makes the driving extra stressful. Furthermore, from what I understand, they experience more electrical and water outages than places closer to town. The condo we were looking at was on the main road in Puntas, Highway 413. This road is affectionately known as “The Road to Happiness” probably because it runs along the top of a ridge high enough to have views of both the Atlantic Ocean and Caribbean Sea on either side of the point. It also provides access to many of Rincón’s best beaches. The primary deal breaker for us was that it didn’t seem practical for us to walk down to the beach from this area of Puntas. Yes, it’s only a short drive, but we were specifically looking for the ability to walk. Our second showing was a house in town listed by Island West. This was a beautifully maintained home in an excellent location. You could walk to the grocery store and, although a little trickier, you could conceivably walk to the beach as well. Unfortunately, this single story house had practically no yard and was hemmed in on both sides with two-story multifamily units. There was very little natural light and practically no privacy. Although the price was right, we had to pass. The agent also showed us few more properties, mostly in Puntas, but they were more than we wanted to spend and suffered from the same issues our first showing did. Our final showing was a listing by J&M Reality. It was a “new” condo called Bahia Azul in Aguada, the next town to the east of Rincón. I put “new” in quotes because although the units available had never been lived in, the building was actually several years old. After seeing all the other properties that were fully furnished, it was a bit of a shock to walk into cold, cube shaped rooms with bare walls, even if they did have an ocean view. One nice thing about a new property is you get to furnish it the way you want. However, this didn’t strike us as such a positive, especially on a third floor unit with no elevator. This property didn’t even have any appliances included. The thought of a fully or even partially furnished place was sounding better and better. Holly and I ruled this condo out almost immediately. We had hoped that we would’ve liked at least one of these properties so we could make an offer on day 2. With that out the window, we had to come up with a plan B, and fast! We had been through the list of properties I compiled before we arrived a million times, so I reluctantly decided that we had to increase the amount we were willing to pay, to broaden our selection. I emailed our mortgage contact to see if we could be pre-approved for a larger loan and he promptly replied back that we could. Casting our net a little wider opened up an overwhelming number of possibilities so we stayed up late into the night processing all of our options. We even considered whether we should drive across the island to Palmas Del Mar or Dorado! We were under a tremendous amount of stress knowing we had a limited amount of time to make an extremely important decision. Ultimately, we decided to schedule showings at condo Sol y Playa and Los Almendros for our second day on the island. Sol y Playa is right on one of the best swimming beaches in the area and has a beautiful common area. Holly really liked this place, but I couldn’t get excited because although we could afford it, it was more than I wanted to spend. Los Almendros is basically one block back from the beach behind Sol y Playa. We liked that it had a massive eight acre campus that our boys could run around in, with sports courts and a huge swimming pool. Another cool perk for us was that the ground level units each had a small private “yard” behind shrubs where you could plant a garden. These features plus the lower prices had us pretty much convinced that this was the place for us. It was just a matter of seeing all of the available units and then deciding which one to make an offer on. I contacted all of the agents with available units in the complex and we were able to setup showings for all of the remaining units for day 3, except one. Josue, the agent who showed us the condo in Aguada on our first day, also had a listing in Los Almendros. Unfortunately, he wasn’t able to show it until Friday. This only added to our stress. The last thing we wanted was to have to wait until our last day to make a decision! We had been staying in a VRBO unit on Córcega beach which was conveniently located close to Los Almendros. Unfortunately, we had to check out before going to our showings because we were checking into a VRBO unit at Bahia Azul in Aguada that afternoon. We were so disappointed to have to move into a condo we weren’t even interested in anymore and that was far away from where we needed to be. After the showings, we grabbed some lunch on the way to Bahia Azul. Once we checked in, we were really surprised how nice the condo was. The owner had done a really nice job of furnishing the unit. You could see the Atlantic Ocean from almost every room. It was absolutely mesmerizing to have the blue of the ocean right there in your living space. I told Holly that maybe we should reconsider this condo, but she remained unconvinced. The common area was small and the building was completely empty at the time. I admit that seeing the rest of the lights off in the condo felt a little creepy. We met Josue at Los Almendros at 11 am for the showing. It turned out that this was the best unit we had seen. It was in the best shape, and the asking price was the lowest. After the showing I told Josue that although this was our favorite unit in Los Almendros, we were starting to get interested in Bahia Azul again after staying in it. Holly in particular still had reservations so I asked to see the available units again. He said he would meet us at the condo in a couple of hours. When Josue arrived, he told us that since he knew we didn’t have a lot of time, he called both sellers to get their best price. The seller in Los Almendros lowered her asking price as much as she could, but was limited because she had recently refinanced. The developer at Bahia Azul dropped their already low price AND offered to pay closing costs. That pretty much sealed the deal for me. Furthermore, Josue told us the model unit, which had some nice upgrades, was available. I don’t know why he didn’t show this unit to us on the first showing. It was definitely nicer than other units he showed and helped push Holly over the edge. I told Josue that we would discuss the offers and let him know our decision by the end of the day. Holly was a bit sad, because she had fallen in love with Los Almendros. However, she ultimately agreed that Bahia Azul was too good of a deal to pass up. On the evening of our last night on the island, I let Josue know of our decision. After living here for five months, we still absolutely love this place. I’m convinced that our hard work, both in the months before and during our trip, paid off in spades. 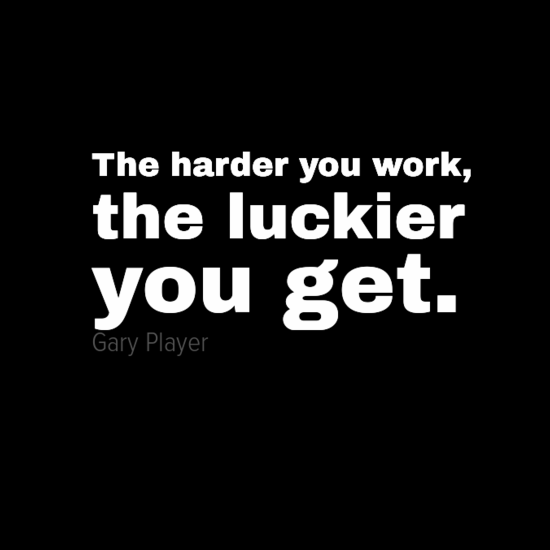 However, it doesn’t hurt to also have a little luck on your side. When Holly and I think back on the sequence of events of this trip, we can’t believe our good fortune. If we had liked Bahia Azul on the first day, we wouldn’t have received the deal we did. If we hadn’t booked our stay at Bahia Azul, we would’ve never seen the potential it had. If the listing agent at Bahia Azul didn’t also have a listing in Los Almendros, we may not have been able to quickly obtain bottom line prices. And after talking to our new neighbors, we know that if we scheduled our trip a few weeks later, our unit would’ve have been snatched up by someone else. When we stop to think about all this, It’s blows our mind. Needless to say, Holly and I are extremely thankful for the way things worked out. Hi David~ Yes, sometimes some luck is involved but you both did a lot research it sounds like, to get exactly what you want. Good for you and I’m so glad you are enjoying your new home. All the best to you and your family and Happy Holidays! Thank you Barbara. I hope you and your family have a very Happy Holiday season as well! Good information in the post except pricing and photos are missing. Both would add much to the story. Hi C. Well, I can say that my original price range was below $200,000 which I later increased to $250,000. Beyond that, I hope you understand that I do want reserve some measure of privacy regarding the details of my purchase. Thank you.